One of the essential cause of car accident mostly related to weather issues. The foremost cause of accidents is due to wet pavement which is caused by the rain. On the average 573,784 crashes are due to the cause of rain. In a 10 year survey instituted by Booz Allen Hamilton from 2005 to 2014, it has been observed that an average of 228,196 persons have been injured and 2,732 persons have been killed due to rain. This is due to the negligence of traffic rules and proper precautionary measures. 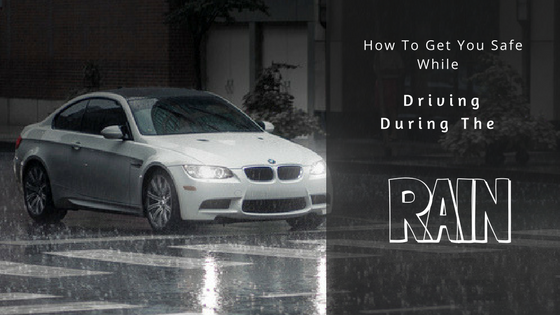 The first thing everyone should possess in a car during rainstorm is a spare charged cell phone which will allow to call 9-1-1 or any nearby hospitals. Other than that, one should always carry an USB mobile device charger. Everyone who is travelling in a car during rain should bear a radio and the weather forecast should be observed within a span of an assertive time. It is better not to start travelling for the highway if the reports are not positive. Everyone should carry a first aid kit for safety. Any minor injuries can be resolved with a first aid kit. It is better to keep a Personal ID and an emergency contact of the owner of the car for the worst possible outcome. The most significant thing that a person can carry during a drive in the car is a spare tire sealant. It can enable one to get to the next town in a pinch rather than being stuck on the side of the road with a flat tire. Another thing which should be in the trunk of every car is a flashlight. Flashlight will enable to signal far reaching distance if the car is stuck or got into an accident. If water gets into the engine then the first thing one should do is dry the ignition system. It will automatically make the car run the next day. But if the car is completely submerged into water then the first thing one need to do is pull the oil dipstick and look for signs of water present. If there is any existence of water, then the water has to be changed alongside with oil and filter. The next step is making sure the engines spark plugs are good. The plugs may have to be replaced if your car doesn't start. Alongside the electrical supplies, a tool kit and first aid kit it is worth mentioning that one should always carry. Everyone should keep dry foods in car for travelling. If the rain starts then the nearby shops get closed and one may feel hungry. In that situation, the dry food may save one from going hungry. The list gets longer and the needs might vary from person to person. But these are the most essential stuffs everyone driving a car during rain should carry. Alongside this, all the stuff mentioned above does not take much space.